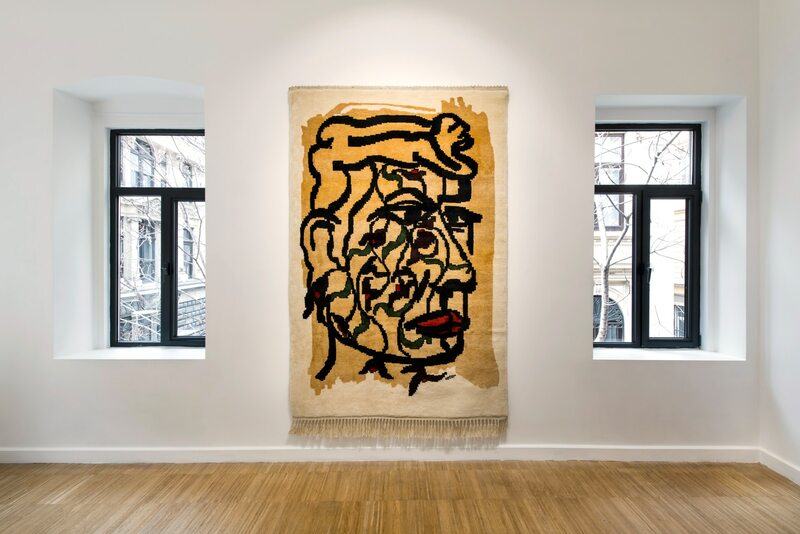 Anna Laudel will present a group exhibition entitled “Tapestry – Woven Tales” presenting a considered selection of tapestry by emerging and acclaimed artists between 11 April and 24 May 2019. 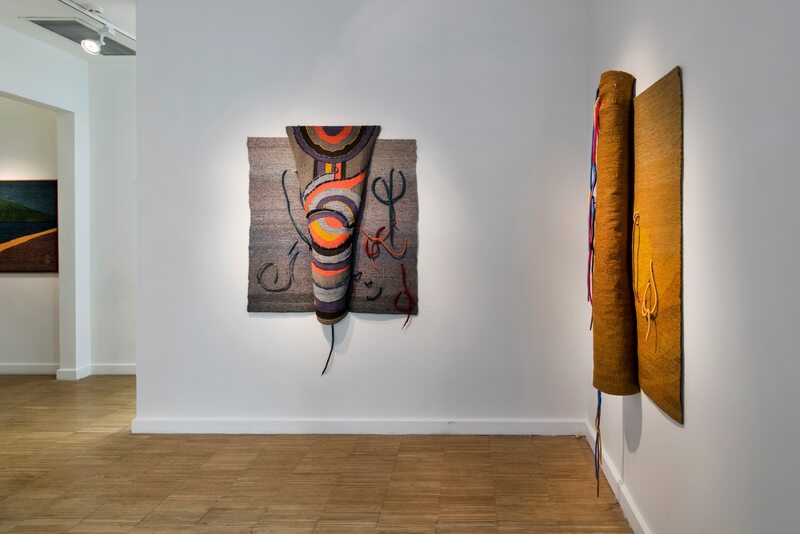 The exhibition will showcase works of 15 artists from different artistic and cultural backgrounds, reflecting the development of weaving art in Turkey. The art of weaving reflects centuries of labour and cultural heritage, but it has only recently been used as a form of expression in Turkish contemporary art. 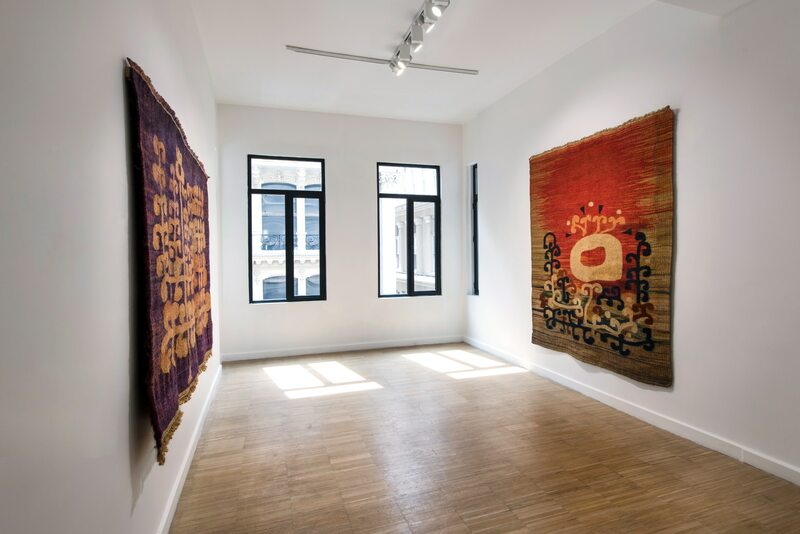 The group exhibition at Anna Laudel will give viewers a chance to see a carefully curated combination of traditional and contemporary weaving techniques, featuring works by artists including; Gülçin Aksoy, Özdemir Altan, Mustafa Aslıer, Belkıs Balpınar, Ramazan Can, Devrim Erbil, Renk Erbil Martin, Fırat Neziroğlu, Zekai Ormancı, Suhandan Özay Demirkan, Ayla Salman Görüney, M. Latif Taraşlı, Tulga Tollu, Hanefi Yeter and Jale Yılmabaşar. Opening on Thursday, April 11th, “Tapestry – Woven Tales” will present widely known classic tapestries as well as new works of the participating artists which will be presented for the first time. The exhibition will reflect the architectural and historical features of the gallery building and will spread across three floors at Anna Laudel. Tapestry masters tend to narrate their own personal stories and their main sources of inspiration mainly include nature, geography and culture. 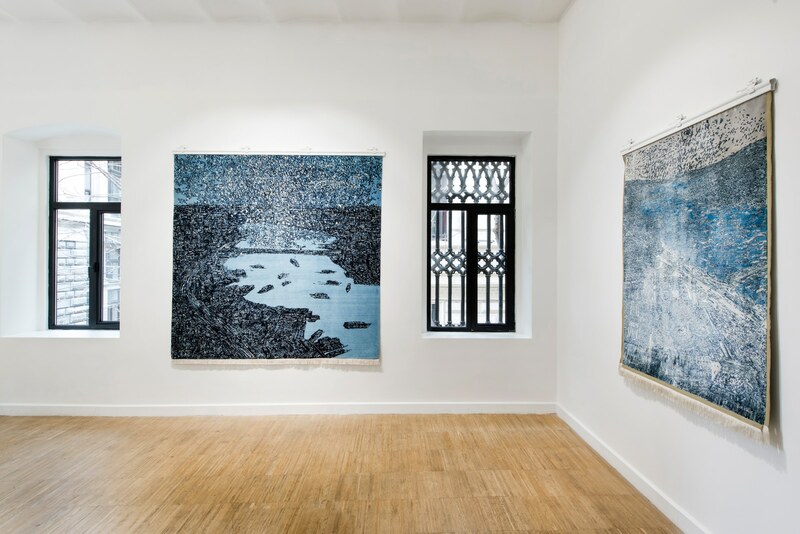 When these traditional techniques are combined with contemporary aesthetics, tapestries offer viewers a unique opportunity to delve into the artists’ creative experience. It is possible to witness these common traditional themes and creative moments in the works of participating artists at the exhibition. Gülçin Aksoy has been weaving with students in her carpet workshop since 1990 and supporting young generations in this area. She continues to produce works in different fields of art including video, photography, installation, weaving and performance in addition to her academic profession. The artist will take part in this exhibition with one of her previous works. Considered as one of the leading artists of abstract art, Özdemir Altan creates a unique style against all the accepted rules of light, depth and colour applications. 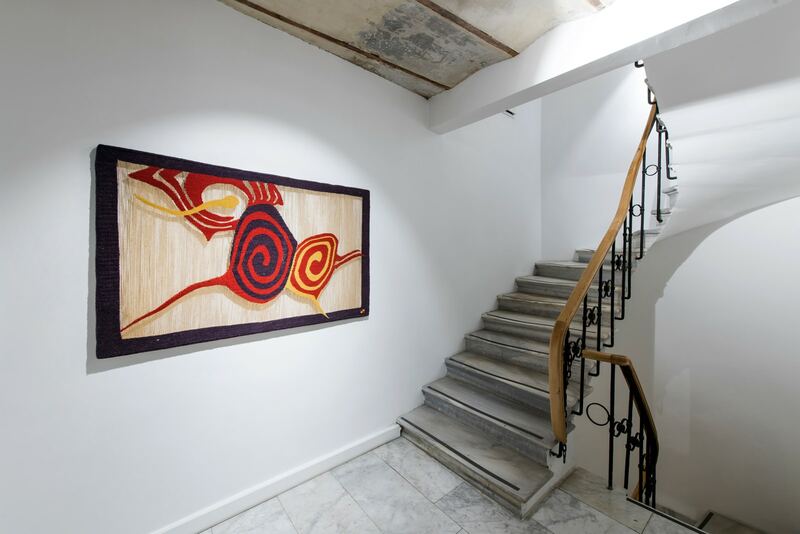 Altan, known for his works with different meanings and expressions about the eternity of the universe, will show his tapestries with geometric elements in different sizes and colours. Mustafa Aslıer, who passed away in 2015, was an artist known for his engravings and illustrations. 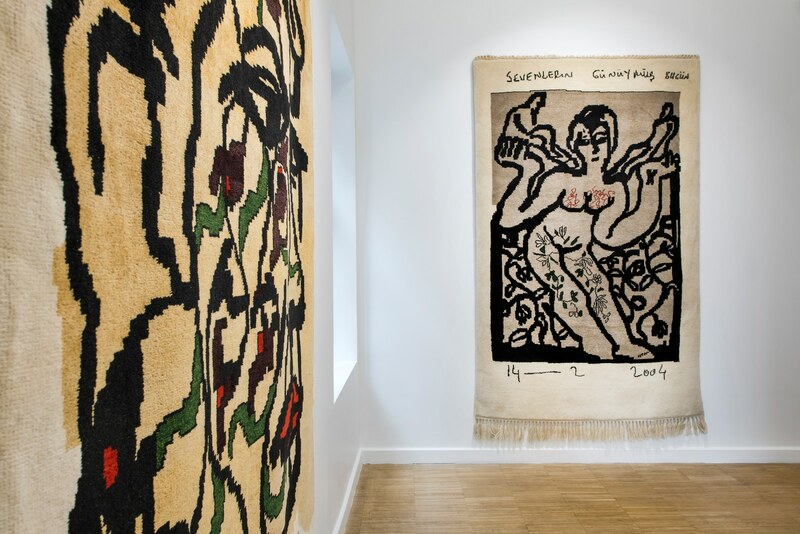 The exhibition will feature his symbolic carpets and rugs, picturing human figures by using nature and schematic elements. 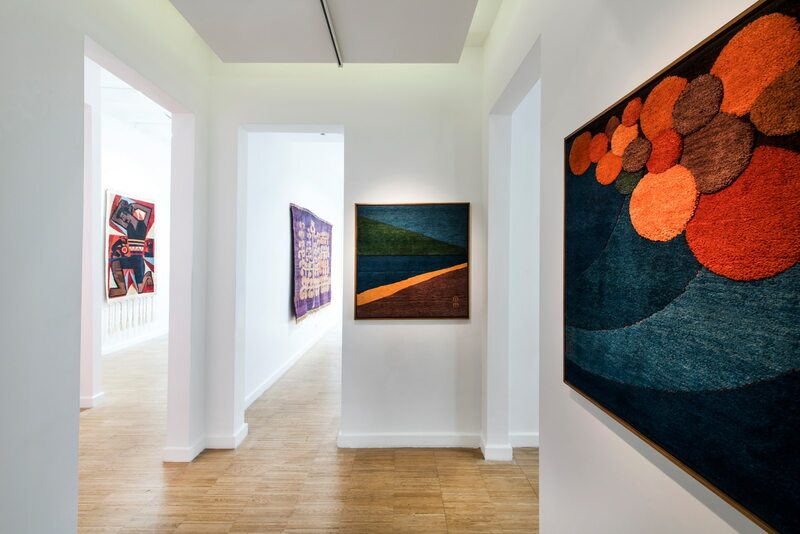 Known as the pioneer of the field called “art kilim” with her works made by using the traditional rug texture in a contemporary context, Belkıs Balpınar will take part in the exhibition with her new and recent works. 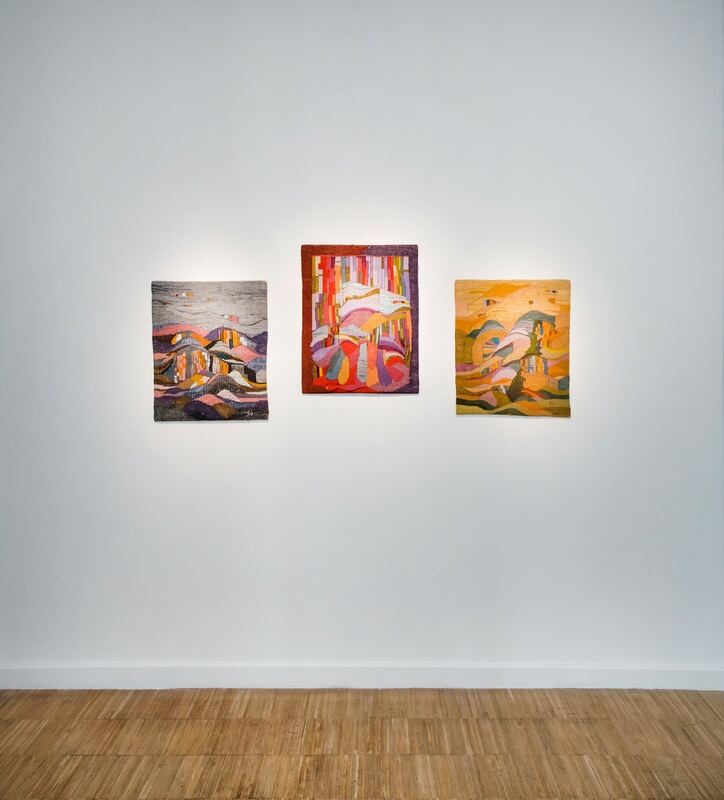 Working with themes such as physics and astronomy, the artist had an extensive solo exhibition last year at Anna Laudel. 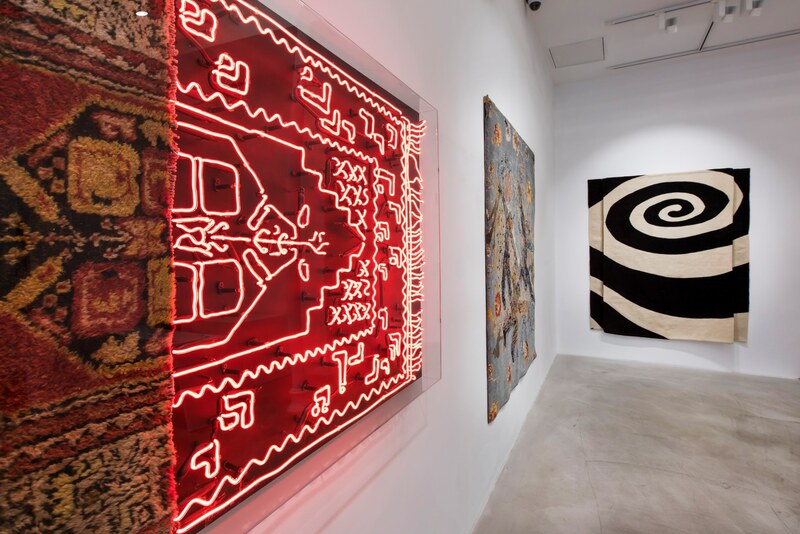 Inspired by the old Anatolian tradition of Shamanism, rituals and totems, Ramazan Can, one of the acclaimed, young artists of today, will exhibit his neon-weaving works for this exhibition. Can builds a bridge between the past and the present both in terms of different techniques and content that he uses. His production also adds a contemporary touch to an old technique in this exhibition. Reflecting on the architectural silhouette, herd of birds and coastal impressions of Istanbul in its works, Devrim Erbil, one of the masters of painting in Turkey, will exhibit the works that will be seen in this exhibition for the first time. 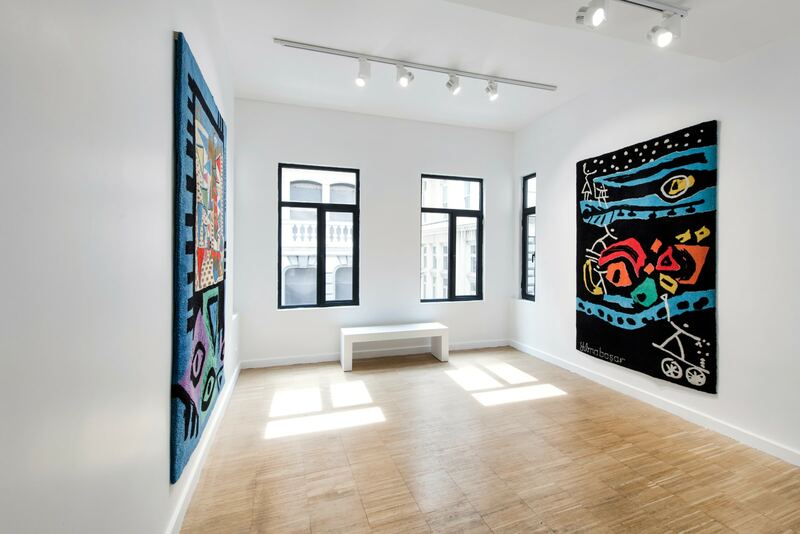 Known for his efforts for reviving carpet culture in Turkey, the famous painter will also present his woven paintings. 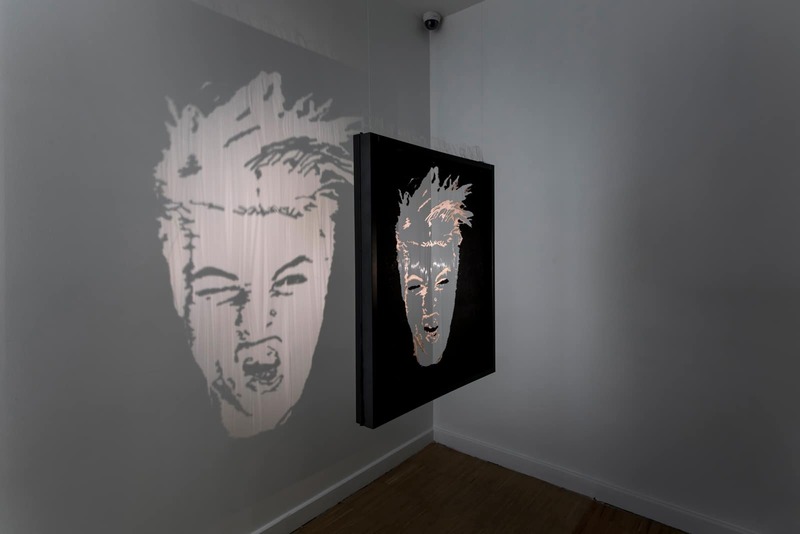 Working on installation, conceptual and digital art in London, Renk Erbil Martin has participated in various national and international exhibitions. 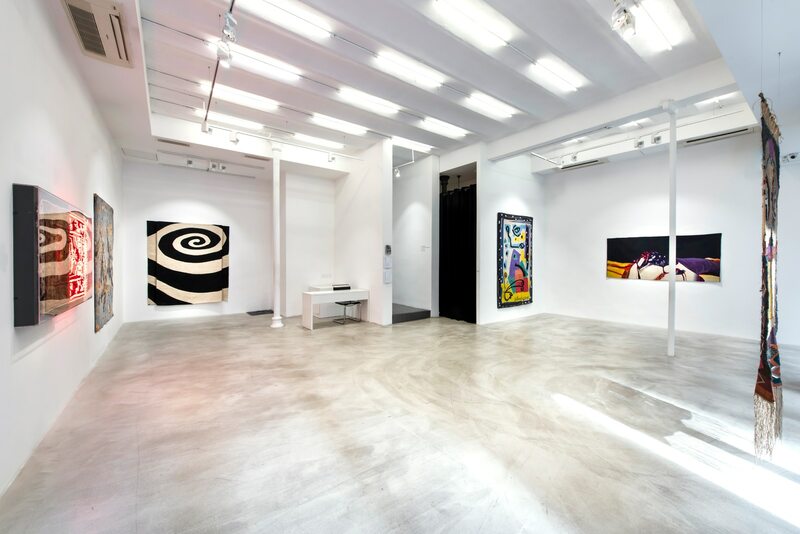 The artist will exhibit her new works which are prominent with their colour selection and contemporary design. One of the young artists who will take part in the exhibition is Fırat Neziroğlu. 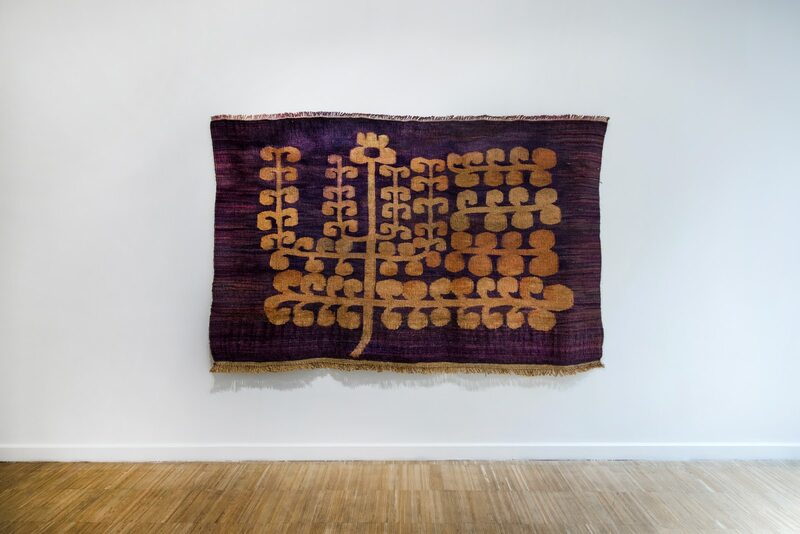 Known for its fabric collections, the artist adapts rug (kilim) weaving techniques to plastic arts with a contemporary interpretation. 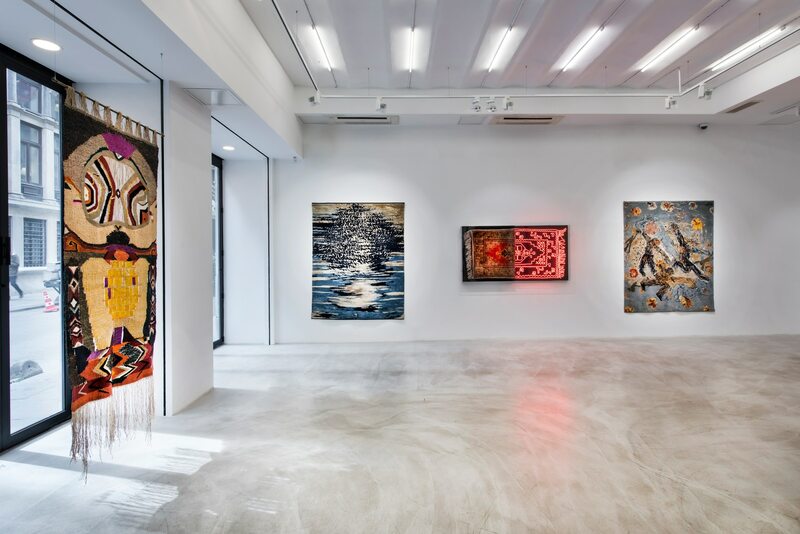 In this exhibition, the artist will show his new productions that convey the traditional weaving technique with his unique presentation. Zekai Ormancı, who passed away in 2008, is one of the leading figures of the ”modern abstract” tradition. At the same time, he has been working with students in his carpet workshop as an academic. 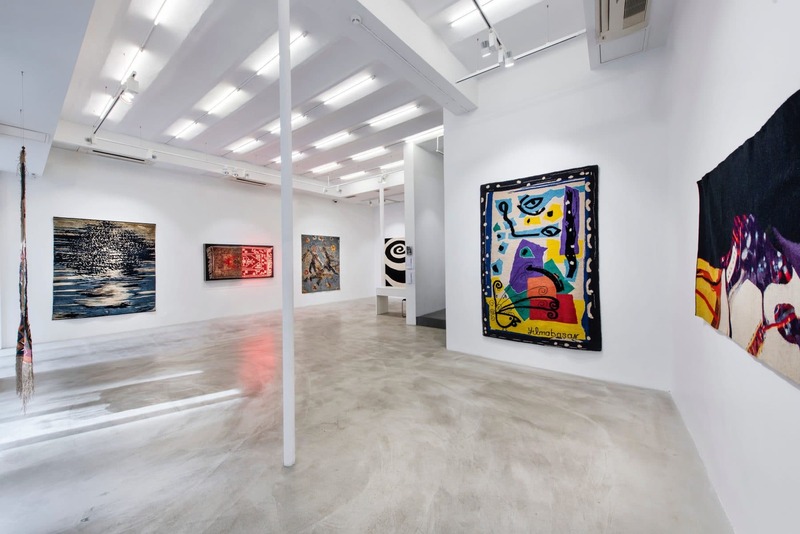 Known for his works based on different compositional aesthetics and his visual metaphors, the artist will showcase his tapestry works that contain abstract elements in the exhibition. 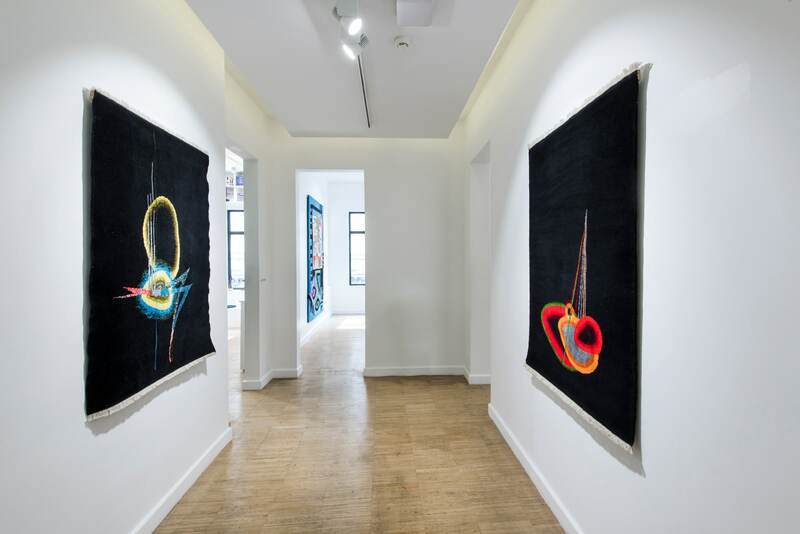 One of the leading names in modern fiber art, Suhandan Özay Demirkan, produces two-and-three-dimensional works with traditional textile techniques and materials. She is also an author of books about art of weaving, textile, jewellery, shoe history, and contemporary accessories, Demirkan will display her previous and recent works at the exhibition. M. Latif Taraşlı, an academic and a contemporary weaving artist, had various awards with his designs. 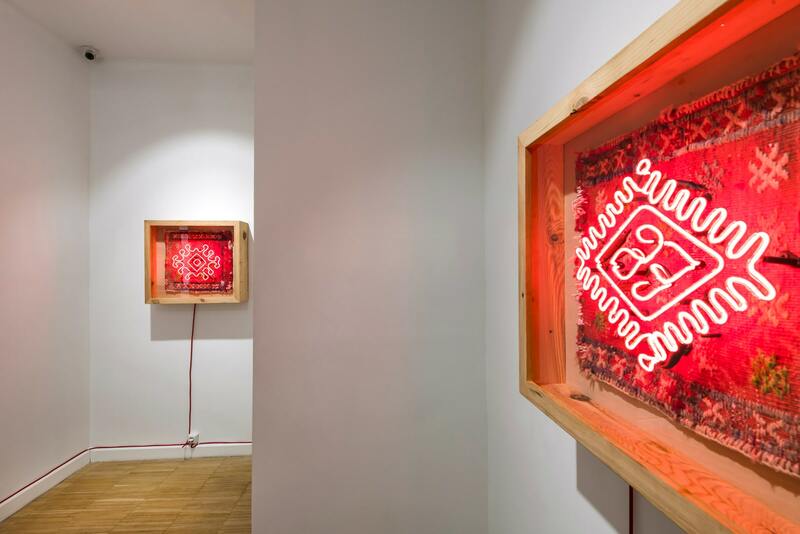 The artist will exhibit his new work, created with old techniques and symbols. 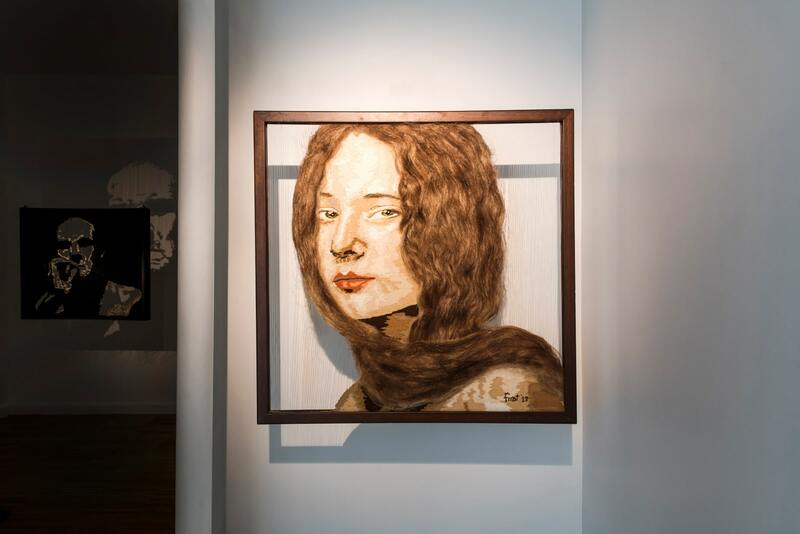 Inspired by the culture of the geography she lives in, Ayla Salman Görüney has many solo exhibitions and awards. The artist also represented Turkey with her academic identity at international platforms. 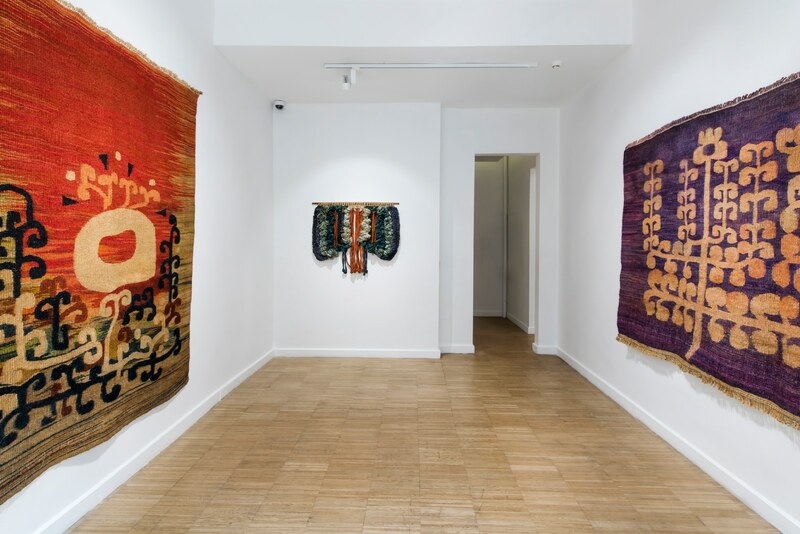 In this exhibition, she will display her previous works, wall carpets, inspired by the archeological motifs of Anatolia and other civilisations. The artist that we lost in 2013, Tulga Tollu, pioneered the era of contemporary Turkish carpet design. 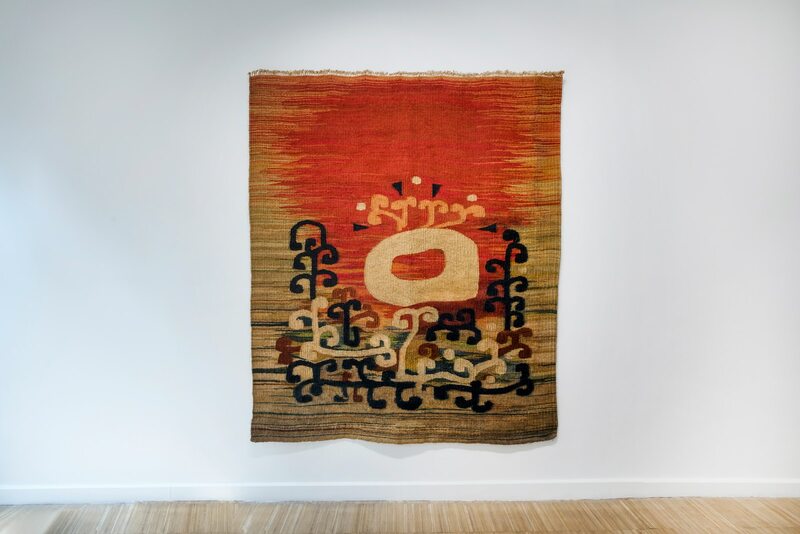 Recognised in Turkey and internationally with his carpet-paintings, the artist will be included in the exhibition with his works produced by using natural dyes. 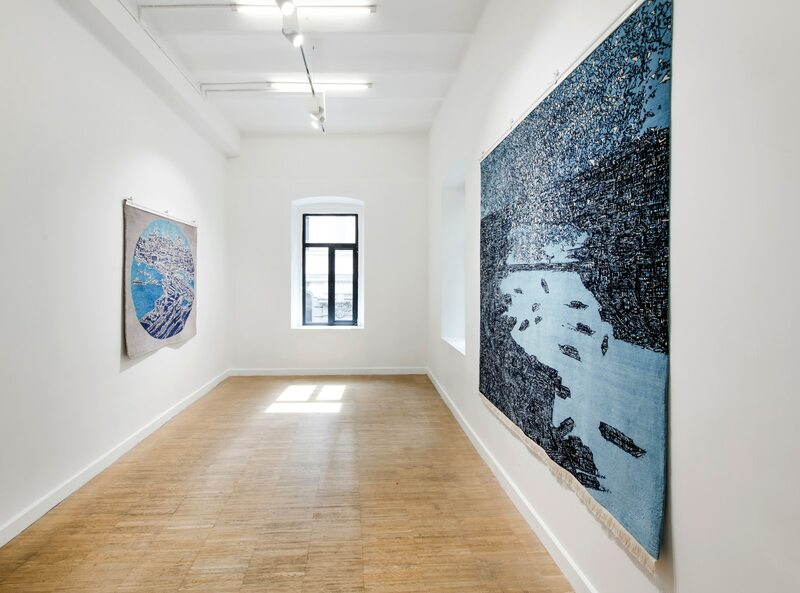 Based in Istanbul and Bodrum, Hanefi Yeter has many solo and group exhibitions within and beyond Turkey’s borders. He has sculpture, murals, ceramic facades and mosaic panels in Berlin and murals in Darmstadt. The artist will take part in this exhibition with his works produced in the 2000s. Turkey’s first female ceramics professor, Jale Yılmabaşar, has been involved in numerous national and international exhibitions in addition to her academic achievements. Focusing on textile-weaving in the last years of her art career, the artist stands out in this exhibition with her works with unique design motifs. 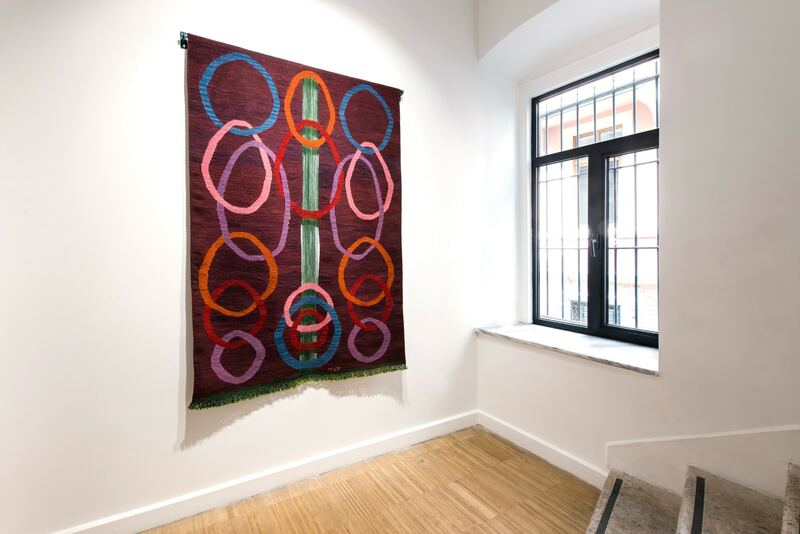 Bringing together the unique examples of weaving art, Anna Laudel aims to enhance weaving as an art form, present it to a wider audience and create new dialogues within contemporary art with this exhibition. 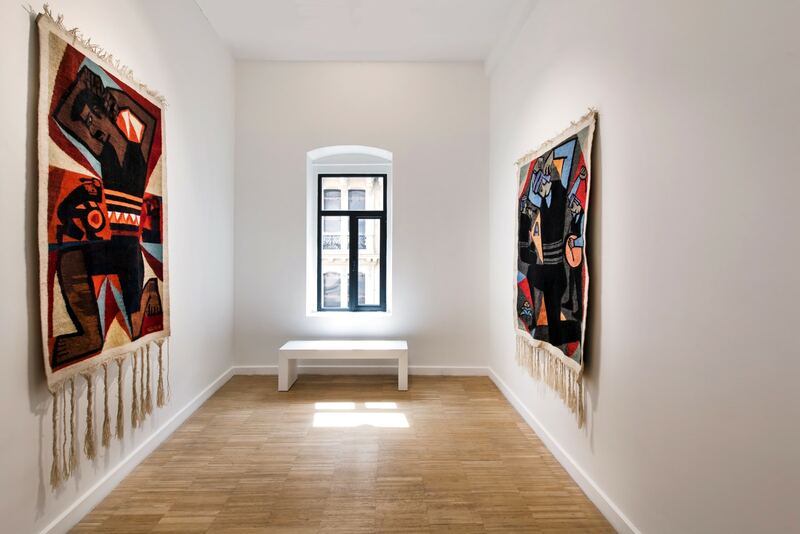 “Tapestry – Woven Tales” will be on display at Anna Laudel in Istanbul until 24 May 2019.